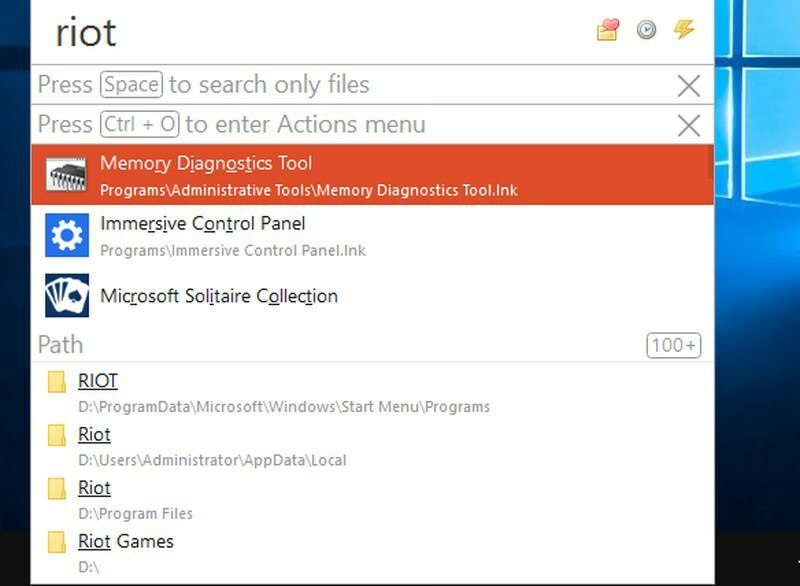 Windows Search features is a handy tool to easily find what you are looking for in your system. However, it also comes with its own drawbacks, for example, it doesn’t search contents of a file and can be really slow as well. If the built-in search feature isn’t cutting it, then you can customize your Windows 10 by installing awesome third-party Windows search tools. Below we have listed 10 of the best alternatives to Windows Search feature. My personal favorite, Everything is astonishingly light, fast and easy to use search tool for Windows. It may not be loaded with tons of features, but it does a great job of finding files and folders quickly. 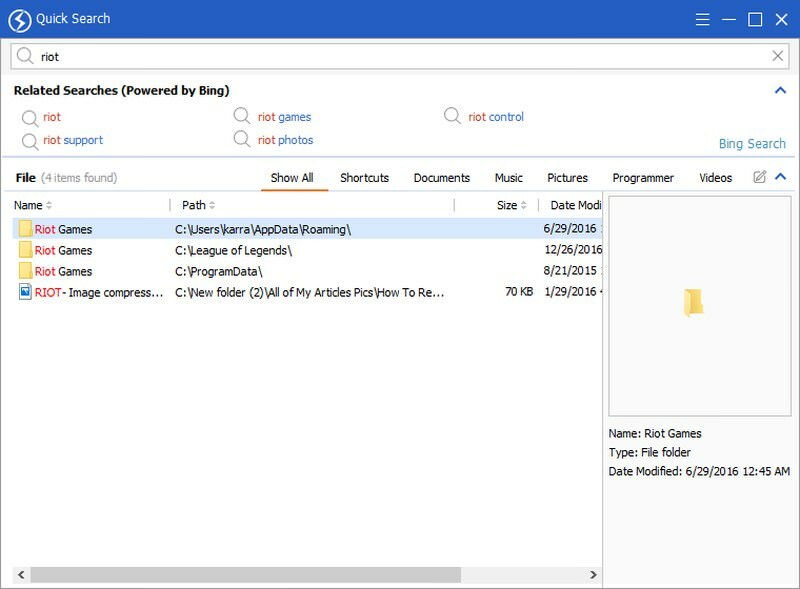 It only lets you search for files and folders using their name, but this allows it to be fast and it can quickly index PC data in just a few seconds (about 8-10 seconds in my case). The results are updated in real-time just as you start typing and there is no delay in displaying them. It also has some other handy features, like the ability to sort data using different factors, search for specific types of files, open files from its interface and bookmark files/folder to quickly access them later. Shows full index in one place. Listary is basically a file explorer assistant that focuses on making you productive. When you’re inside Windows file explorer, just start typing what you need and the results will start appearing in real-time. You can also press Ctrl key twice to bring up the search bar anywhere and start searching. You can create keywords to directly search inside online websites, such as "fb" to directly search in Facebook search. Some of its other features include keyboard shortcuts, option to add filters, create executable commands and assign shortcuts to them, recent files and complete file history. Furthermore, it also has many themes to customize its interface. Listary free version is only available for personal use, you should upgrade to pro version if you want to use it in a business environment or want more control. Also, Listray is able to list Windows settings and programs in the search results as well. Something I didn’t find in any of the other tools in this list. Direct typing in the file explorer. Search the internet as well. It also indexes Windows settings and native programs. 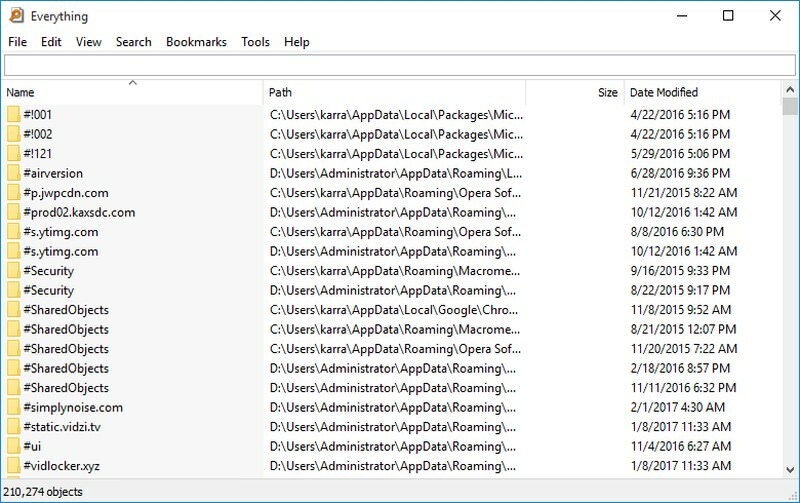 UltraSearch scans MFT (Master File Table) of your drive partition to look for data instead of indexing everything in your PC. This allows it to let you immediately start a search without having the need to index data first. It may not be able to track file changes in real-time, but you can always rescan MFT to manually update data. Apart from MFT based search, you can use filters, create search patterns, use data type to look for files and sort the results using different factors. 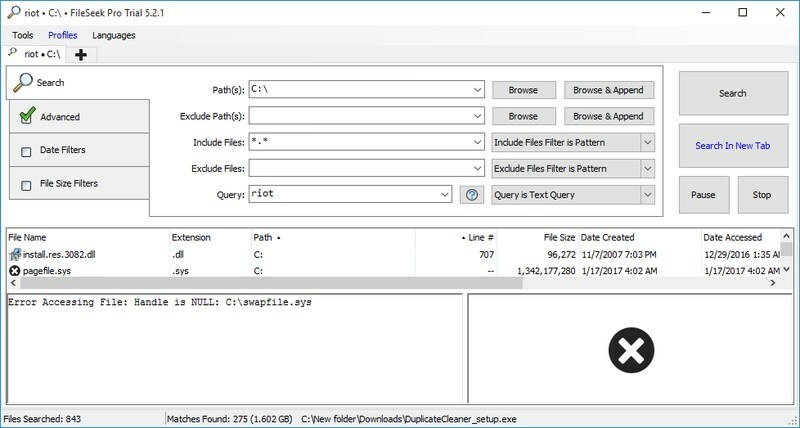 UltraSearch also has an interesting "Content search" feature that lets you search for content inside the files. This feature is a little slow in working but invaluable. Scans MFT and doesn’t require indexing. Nirsoft is known for highly customizable tools and SearchMyFiles is its one of the most customizable search tools that offers full control over your search. 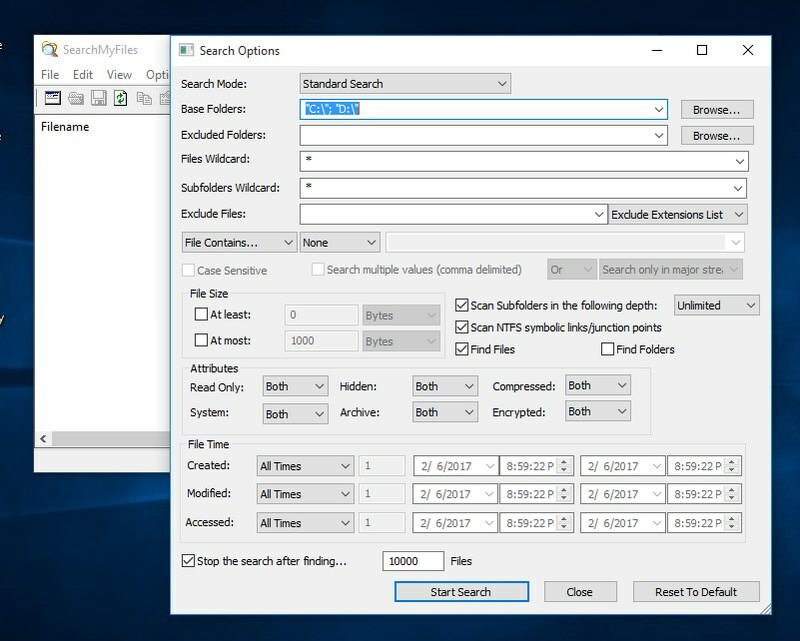 I would not say it is one of the best alternative to built-in Windows search, mainly because it takes a few seconds to set up your search and the results take a bit of time as well to show up. However, it’s customization tools make it perfect for finding hard to pinpoint files. You can use tools such as wildcards, excludable folders, exclude file extensions, adjustable file size, subfolders depth, file attributes and time when the file was created/modified/accessed to find the exact file. It also has a reliable content search feature that lets you search contents of files. You can use text, binary or wildcard to specify what type of content the file may contain. Search text and binary content inside the files. MasterSeeker is another very easy to use Windows search tool that is also very fast. In my experience, it was very quick in indexing all of my data and took hardly 3 seconds to index all the drives. You have three search fields at the top of the interface, Filename, Directory and File Size. 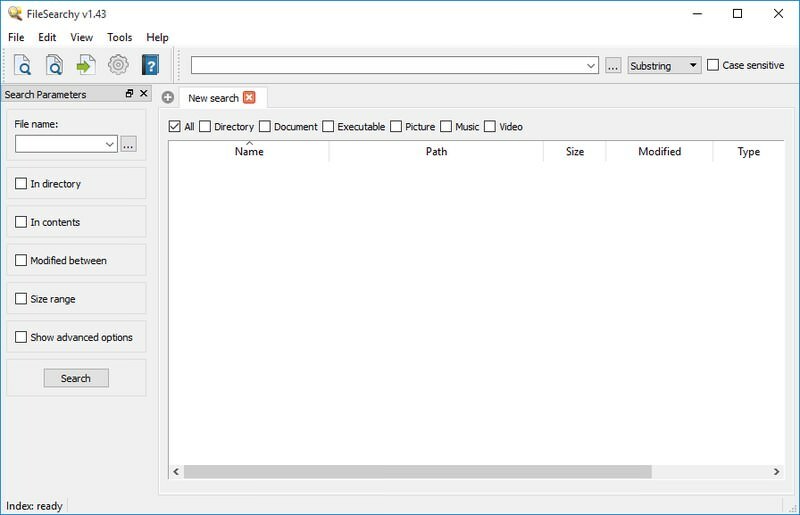 Filename allows you to search for files/folder by their name, Directory bar lets you select the directory where you want to search and File Size bar lets you search for files by size. I really liked search by file size feature that allows you to quickly enter file size to look for matching files and filter results using signs like > , < , = or ~. Reliable search for files by size. Quick Search has a sleek interface and it’s very intuitive to use. It quickly indexes all the data and shows it in columns such as documents, photos, videos, shortcuts, and music, etc. On top of that, it has a handy preview section that shows a preview of each file to select. When you will search for content, it will highlight your search keywords in the results and also show recommended related searches on the internet (powered by Bing). I must say Quick Search has the best interface of all the apps in this list; it’s sleek, interactive and simply works. Shows data in categories by default. Highlights the keyword in search results. Shows related searches from Bing. 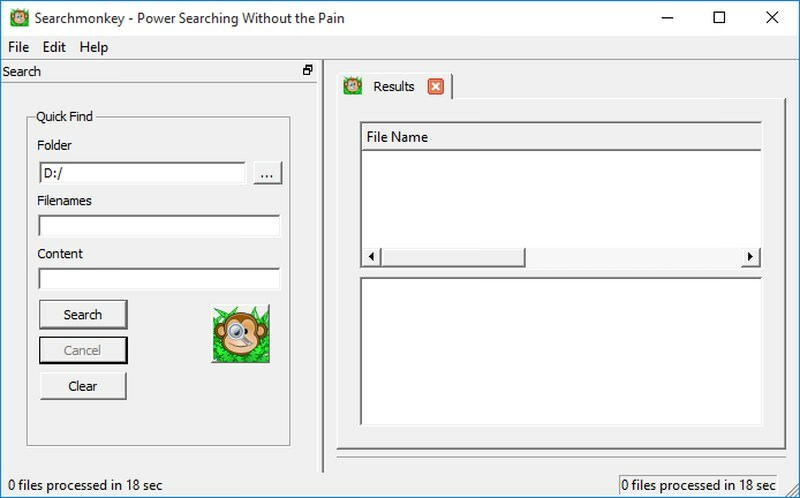 An open-source Windows search alternative that completely focuses on indexing and finding content inside files. For privacy reasons, it lets you specify which part of the hard drive should be indexed, unlike other tools that index all the data on the hard drive. Once the files are indexed, you can quickly look for any type of content inside the files. Unfortunately, DocFetcher doesn’t offer real-time results for its searches, so you will have to click on the "Search" button every time. Comprehensive search tool for finding content inside the files. Indexes only the specified directory. 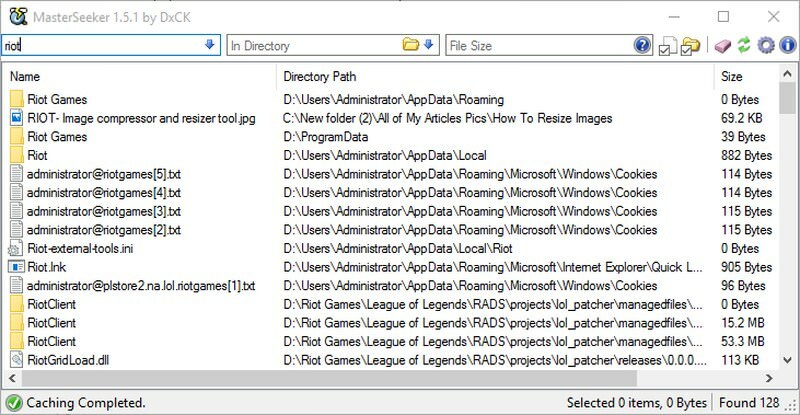 FileSearchy lets you quickly search for data inside your PC and also the content inside the files. Although it is only limited to document formats for searching the content, but it’s really quick at finding the content. Along with the name, you can also search files by date and their size. There are other handy search customization features available as well, such as ability to use wildcards, do a multi keyword search, exact word search, case sensitive search and more. It also highlights the searched keywords in results and you can see a complete history of searches anytime you like. You can do multi keyword search. Highlights keyword in search results. Keeps full history of searches. 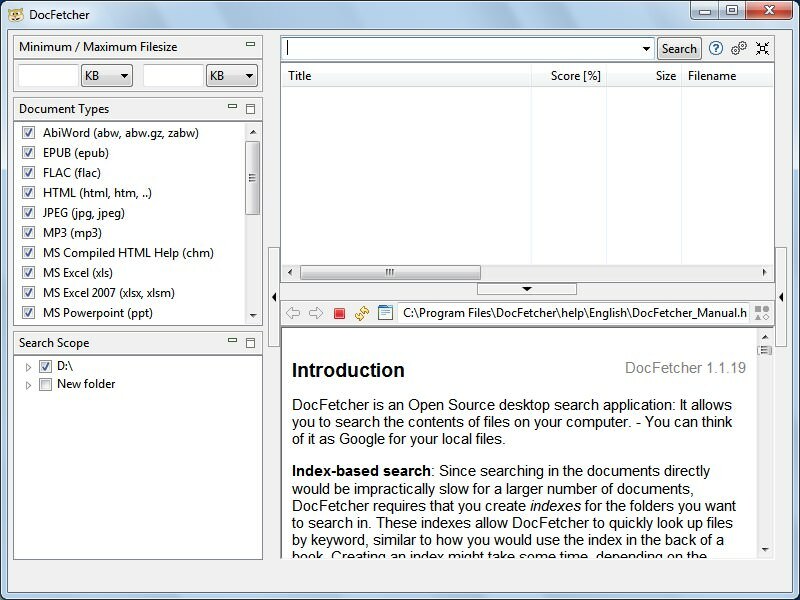 Another open-source search tool similar to DocFetcher that lets you select a specific directory to index instead of indexing everything. Searchmonkey interface is very fast and easy to use, arguably better than DocFetcher. You can search for both file names in the indexed data and content inside the file. However, I found its content search capabilities to be more reliable than finding actual files. Just provide search directory and what you are looking for in the file content. Searchmonkey will quickly find all the files and show a preview of the content right inside its interface. The content you searched for will be highlighted in red. Previews content with keyword highlighted. Although FileSleek is a paid tool, but it has a powerful free version that should work fine for personal use. FileSleek is capable of finding both files/folders and content inside the files. You can search multiple directories at the same time, filter data by pattern/names/types, preview results, search for an exact keyword, search by time, search by size and much more. 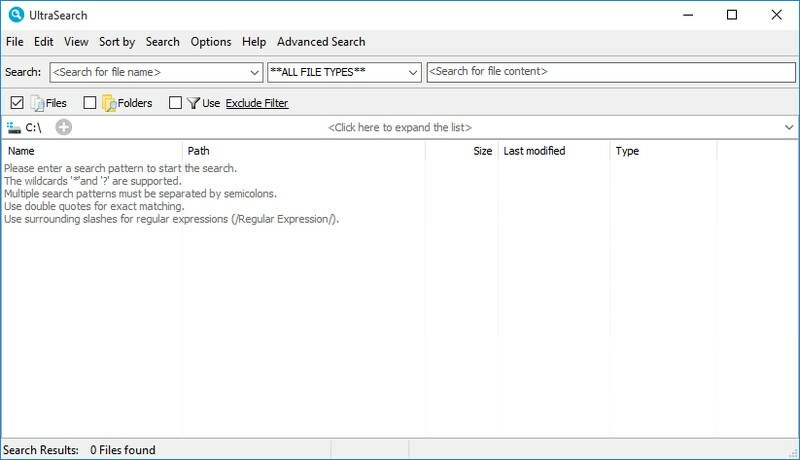 For finding content inside the files, you can either use regular expressions or advanced expressions using operators like +, -, and, OR, etc. With the paid version, you will get few extra features like the ability to open results in multiple tabs, export data, sync your data with other devices, and few more. Advanced expressions available for content search. If your only need is to search for files and folders quickly, then Everything is definitely a reliable option. However, if you want to be more productive, then nothing can beat Listray thanks to its in-depth search capabilities and reliable features. I also found Quick Search by glary soft to be pleasing, do give it a try if you can’t decide anything.